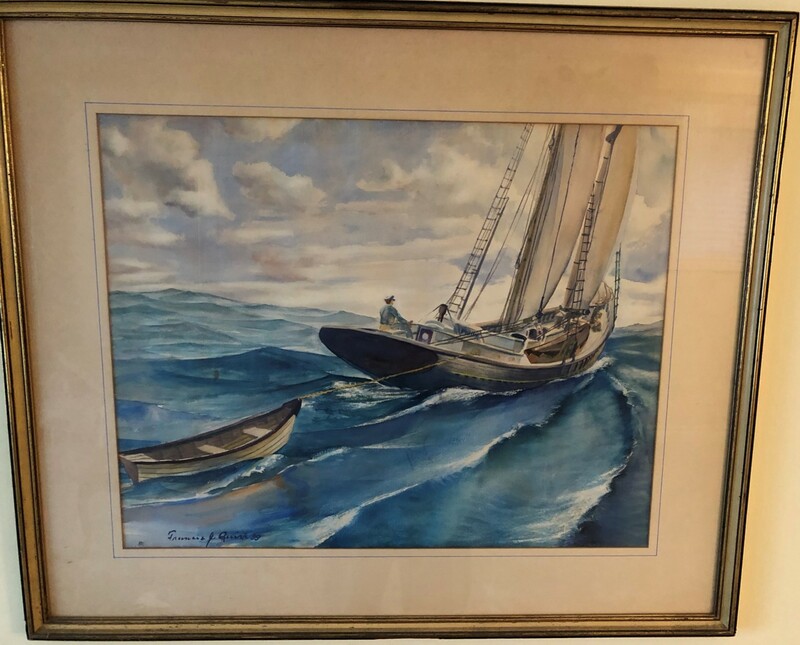 We recently heard from a gentleman in Montreal Canada who was fortunate to marry into the co-ownership of a Francis Quirk Maritime painting. He discovered it in storage with other cherished items in his home. It was originally purchased in Pennsylvania and we are seeking information on the executive and his wife who originally displayed it prominently in their home. 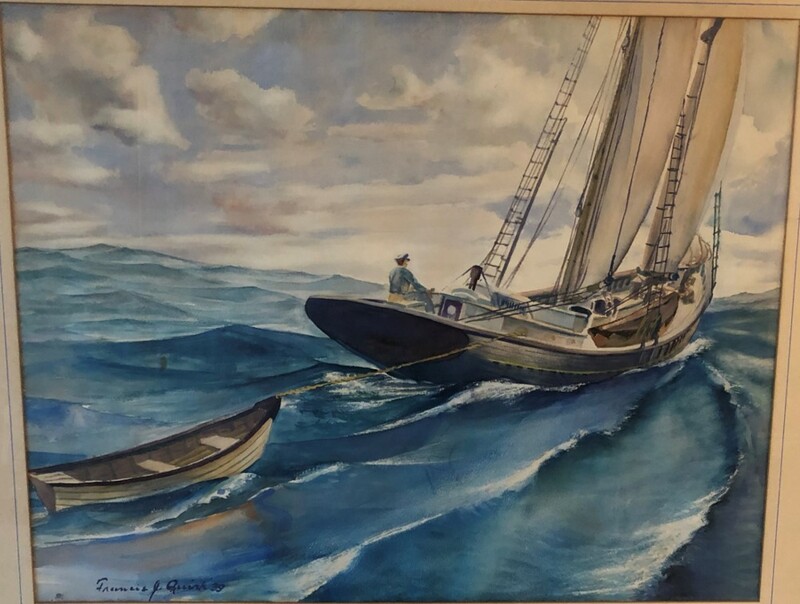 The watercolor is dated 1939, so it was executed when Quirk was 32, teaching at Ogontz College and still seeking to establish himself as a commercial artist. He had a fondness for painting boats that would last throughout his lifetime and when retiring he stated that he looked forward to returning to Maine to paint. This painting could have been executed in any number of locations including Maine, Cape Cod Massachusetts or even from memory in Pennsylvania. The owner of the image finds it striking and lifelike as he stated "you can almost hear the waves rippling off the bow." Clearly Quirk's talent for realistic display shows through in the detailed rigging and the way the sails are almost tangibly filled with air. And of course Professor Quirk leaves nothing to chance with his signature. A Francis Quirk signature is never ambiguous.